Do you need some assistance related to technology? 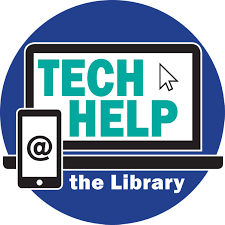 Sign up for a help session with our Technology Librarian. We can help you by giving you an introduction to a computer or device, setting up an email account, or instructing you on how to use our free electronic resources (ebooks, audiobooks, magazines) on your phone or tablet. Call the library at 746-3663 and ask for the Reference Desk or email us at info@hopkintontownlibrary.org. You can also fill out the form below and we will get back to you. For those needing more in-depth training, the library offers instruction through Universal Class free to library patrons. There are more than 50 computer and technology related courses facilitated by dedicated instructors. You can register for Universal class here (you just need your library card to set up an account). A list of computer related courses is here. Call or email us if you have any questions about this service.